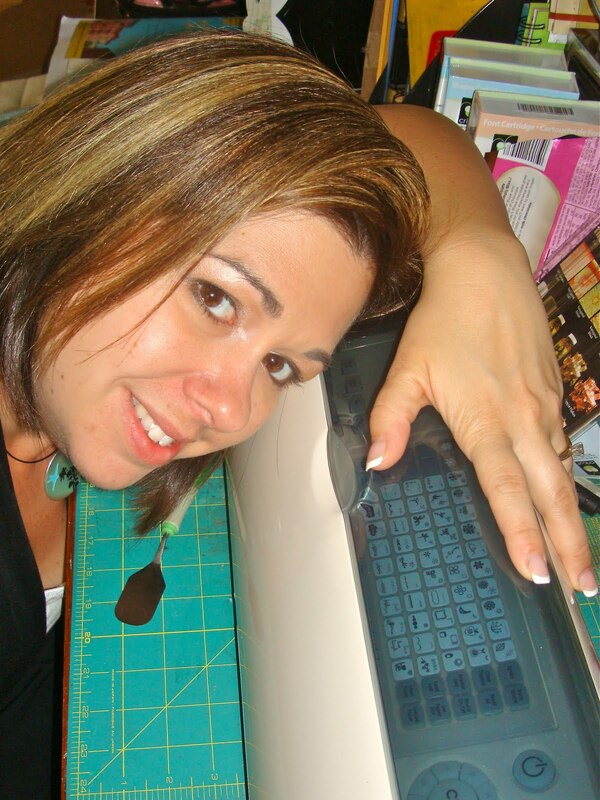 Art Talk: Crazy for Cricut! I'm so lucky to be working with Nikki Sivils! She is not only gorgeous, but so talented! Her designs are so fun and versatile! I love being on her design team! We had the opportunity to be a part of a cross promotion with Provocraft! As a HUGE surprise, we were to get a Cricut Expression and guess what arrived on my doorstep a couple weeks ago??? I opened that box and tore through the wrappings! I was so excited to see all the goodies inside. It took me a little while to find time to sit down and read up on how to use the machine, which was REALLY easy btw! I put the blade in, plugging it in and chose the first cartridge to start with. I'm in love!!! The scroll flower cut out is from Home Accents and also the border design! Gorgeous!! I also cut the journaling shape too! I'm loving this machine. I can't wait to see what else it can do! Thank you Provocraft!